Rammed earth is a traditional building technique present in many parts of Spain, especially in the south of Extremadura, where most of the villages are built with rammed earth and painted with lime. This beautiful vernacular architecture is today under threat of extinction in spite of the countless benefits of raw earth, a local and low transformed material with high comfort regulation properties.The workshop will be a two-week training program. We will build with rammed earth in a real context, at 1:1 scale for and with the local community in a public space. A balance between theory and practice (around 25% theory, 75% practice) will approach in detail the material and the techniques to build with rammed earth. 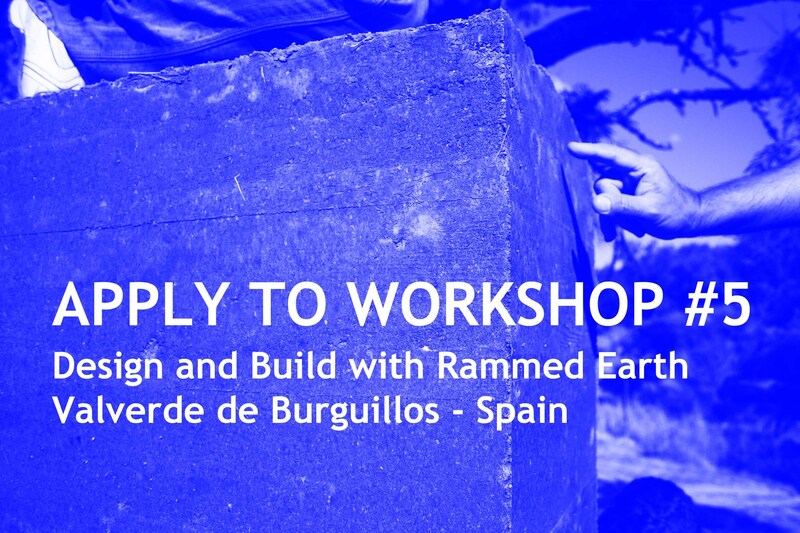 The most important topics covered by this training are: rammed earth production processes, how to transform raw earth into a built element; building with rammed earth – its principles, soil selection, level of mechanisation; rammed earth structures and details, an introduction to the design of rammed earth building; prefabricated rammed earth.